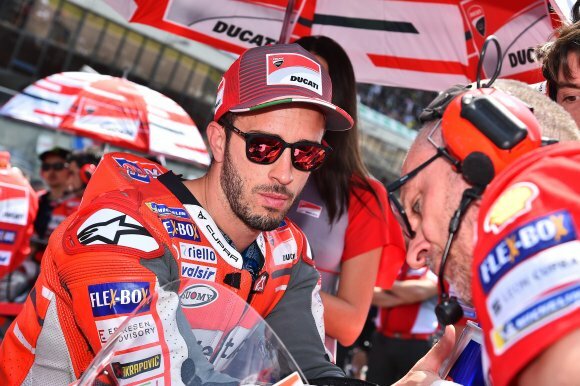 Ducati MotoGP rider Andrea Dovizioso says he “must believe” he can close his 49-point deficit to championship leader Marc Marquez after crashing out at Le Mans. Dovizioso had just taken the lead from Ducati teammate Jorge Lorenzo in the French Grand Prix when he lost the front end of his GP18 Ducati at La Chappelle and slid into the gravel. It marked the Italian’s second consecutive non-finish after he was caught up in a collision with Lorenzo and Honda’s Dani Pedrosa in the previous round at Jerez. 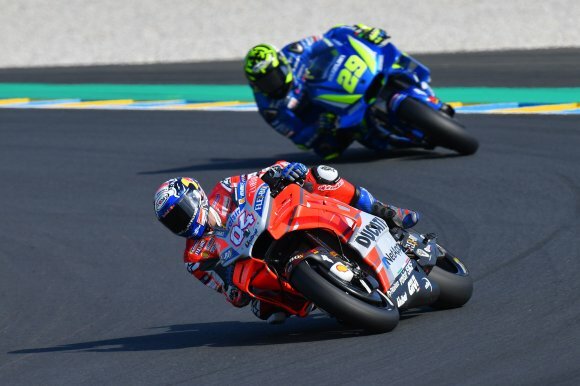 Dovizioso described his Le Mans error as “unacceptable”, but said the fact he had the pace to challenge Marquez for victory was an encouraging sign and means it is too early to give up on the championship just yet. “The positive to take from the situation is that we are fast, in particularly in comparison to last year,” said Dovizioso. “At Jerez we could have taken home 20 points and here we had good pace. This means we have managed to take a bigger step than our rivals at these two tracks. “This will help me to manage things in the best way, because we have the chance to recover points. 49 points is a lot, but if we look at these first five races, a lot has happened. “The best thing we can do therefore is to work to fight for podiums and wins in every race. Marquez’s two nearest challengers at Le Mans, Danilo Petrucci and Valentino Rossi, were less optimistic when asked for their opinion on whether the Spaniard remains beatable this year. “I can’t say who can stop him at the moment,” said Petrucci of Marquez. “Because he’s got 36 points [gap over second-placed Maverick Vinales] after five races, so at this moment I don’t know who can beat him. Rossi added: “Marc has already a good advantage, but for me the worst thing for his rivals is not that advantage in the championship but the speed on the track.